Despite being mandated insurance cover for vehicles running in India, a large number of vehicles are plying without having insurance cover. 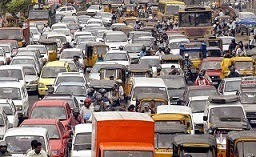 With a view to curb and reduce uninsured vehicles in the country, the insurance watchdog, Insurance Regulatory and Development Authority (IRDA) has started a pilot initiative in Cyberabad, Telangana, to strictly enforce the provisions of the Motor Vehicles Act. “We have collaborated with the police and they will send challans to owners of vehicles without an insurance policy. What we have found (through the pilot) is that out of the 12 lac registered vehicles, almost 25 per cent do not have an insurance policy," said Mr. M Ramprasad, Member, Non-life, IRDA. If the results of this pilot initiative are encouraging then we will extend it to seven more states, he said, adding, “ We are planning to collaborate with the Ministry of Road Transport to use their data on the number of registered vehicles to corroborate data from insurers. As per a report of ICICI Lombard General Insurance, about 40 per cent cars are uninsured; while, whopping 70 per cent two-wheelers are plying without insurance cover.